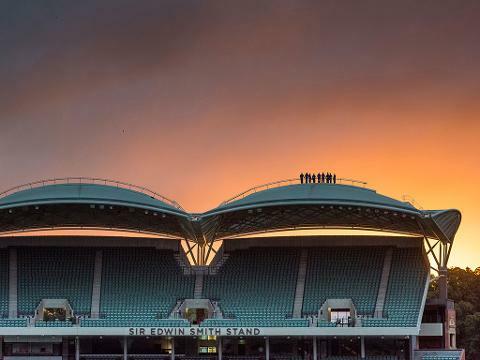 Our trained RoofClimb Leaders will guide you across the highest points of the Oval’s unique roofline during the twilight hours. 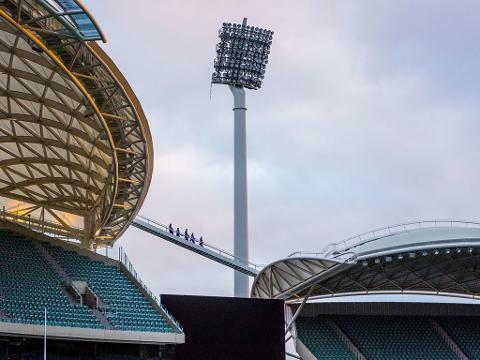 Travelling from the Western Stand to the Riverbank Stand on a purpose-built path, the experience will offer breathtaking views and a unique perspective of the city of Adelaide and its surrounds. 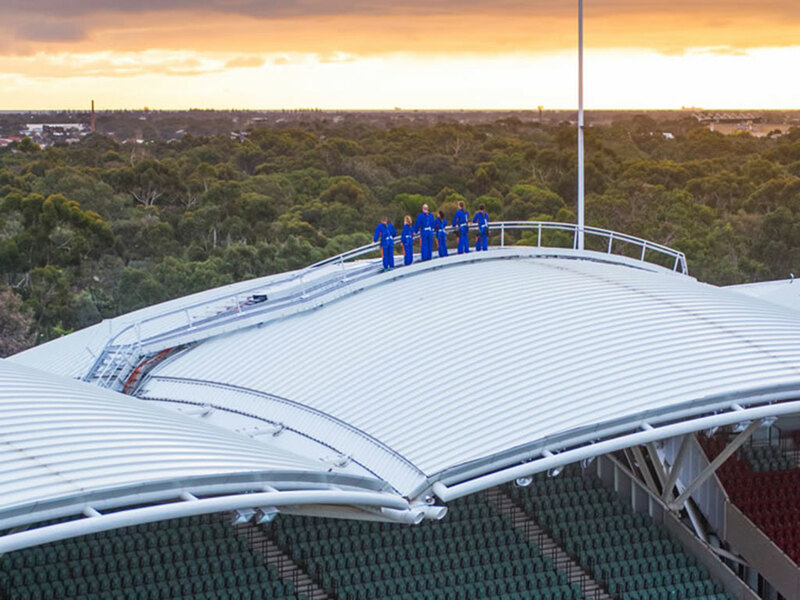 All RoofClimb Adelaide Oval adventures include admission to the RoofClimb, a group photo, certificate of completion and souvenir cap. Participants under 20 weeks pregnant must have the Medical Clearance Form signed by their Doctor. Participants 20 weeks pregnant and over are not to participate. Participants over the age of 75 must have the Medical Clearance Form signed by their Doctor. 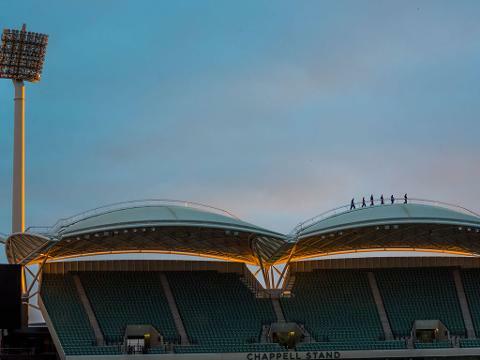 Participants must be a minimum of 8 years of age at the time of the scheduled RoofClimb. Children aged 8-15 years must be accompanied by a supervising adult (1 adult per 3 children). Please refer to www.roofclimb.com.au/health-safety for more information on medical conditions restricting participation and to download the Medical Clearance Form.